Planning, design, and control optimization of resilient Smart Energy Grids (SEG), interconnected Micro Energy Grids (MEG), and their applications on energy and transportation infrastructures, smart cities, and industrial facilities. Design of high performance fast charging system with flywheel technology. Safety and protection system design of energy infrastructures. Investigate advanced methods for safety design and verification with co-simulation of NPP, investigate intelligent safety and control systems to improve the performance of NPP, and their applications on SMR. Develop advanced plasma generation and measurement technologies and their applications on nuclear and industrial applications. If interested, please contact lab director: Prof. Hossam A.Gabbar (Hossam.gabbar@uoit.ca). Invited Speaker, Interconnected Micro Energy Grids with Hybrid Energy Storage for Resilient Energy and Transportation Infrastructures, Tsinghua University, Beijing, China, 28-Dec-2018. Invited Speaker, Resilient Energy and Transportation Infrastructures, China Electric Power Research Institute (CEPRI), Beijing, China, 28-Dec-2018. Invited Speaker, Resilient Energy and Transportation Infrastructures, Beijing Jiaoton University, Beijing, China, 27-Dec-2018. 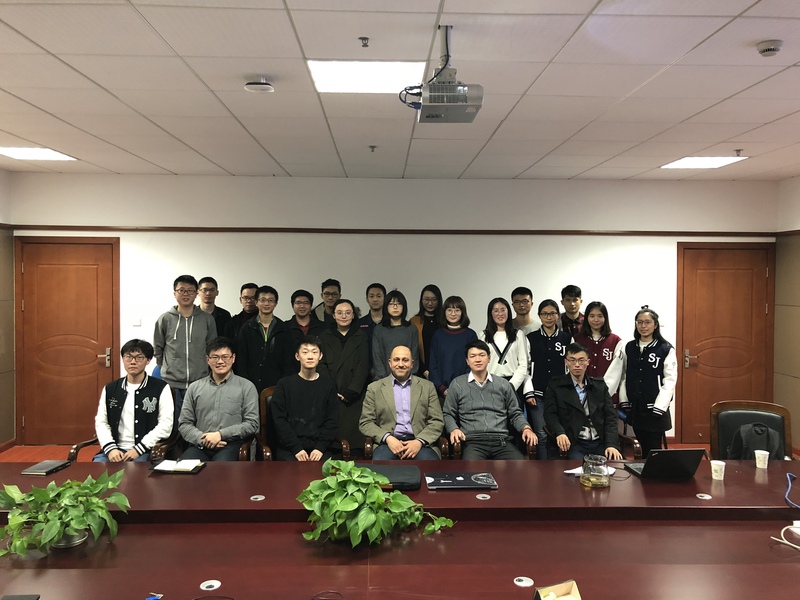 Invited Speaker, Flywheel-Based Energy Storage for Resilient Energy and Transportation Infrastructures, Global Energy Interconnection Development and Cooperation Organization（GEIDCO), Beijing, China, 27-Dec-2018. Invited Speaker at International Conference on Renewable Energy and Power Engineering (REPE), Toronto, Canada, 24-26 November, 2018. Invited Talk “Resilient Interconnected Micro Energy Grids for Energy and Transportation Infrastructures” at the Technical Meeting on Nuclear-Renewable Hybrid Energy Systems for Decarbonized Energy Production and Cogeneration, Vienna, Austria, Oct-2018. Invited Lecture, Resilient Interconnected Micro Energy Grids, Workshop on Electrical Engineering, Syracuse University, Syracuse, 19-Oct-2018. Invited Speaker (Resilient Interconnected Micro Energy Grids with Flywheel-Based Energy Storage Platform for Energy and Transportation Infrastructures) at Jiangsu University, Zhenjiang, Jiangsu, China, 10-Oct-2018. Invited Speaker (Smart Energy Grid Engineering), Session Title: Voice of Scholars - Energy Interconnection and Research Innovation, Global Energy Interconnection Development and Cooperation Organization (GEIDCO), 26-Sep-2018. Invited Speaker (Resilient Interconnected Micro Energy Grids for Energy and Transportation Infrastructures), Shandong University, Shandong, China, 27 Sep, 2018. Invited Speaker (Resilient Interconnected Micro Energy Grids with Flywheel-Based Energy Storage Platform for Energy and Transportation Infrastructures), China International Conference on Electricity Distribution (CICED), 17-19 September 2018, Tianjin, China. Invited Speaker (Resilient Interconnected Micro Energy Grids) at the IEEE Smart Energy Systems and Technologies (SEST), Sevilla, Spain, 10-12 September, 2018. Invited Speaker (Interconnected Micro Energy Grids with Gas-Power and Renewable Technologies for Sustainable Infrastructures), Green Energy and Expo, Toronto, Ontario, Canada, 29-31 Aug, 2018. Invited Speaker (Resilient Transportation Infrastructures: Planning, Control, and Performance Optimization) at the IEEE Smart Energy Grid Engineering (SEGE), UOIT, Oshawa, Ontario, Canada, 12-15 Aug, 2018. Plenary Speaker, Resilient Interconnected Micro Energy Grids for Transportation Infrastructures, 2018 International Conference on Clean Energy and Electrical Systems (CEES), Vancouver, Canada, July 25-27, 2018. Invited Talk, Plasma-Based Clean Energy System, and meetings at University of Malaya, Kuala Lumpur, Malaysia, 18~19 Jul, 2018. Talk on Resilient Interconnected Micro Energy Grids for Energy and Transportation Infrastructures, in the Talent Competition of High-Tech Entrepreneur Event, San Jose, CA, USA, 16-Jun-2018. Organized IEEE Transportation Electrification Event, Invited Speaker Dr. Grant Covic: Non-contact charging for vehicle electrification, 5~6 Jun-2018 (UofT and UOIT), See Event Details. Shandong University of Technology visited Smart Energy Systems Lab (SESL)-UOIT, Prof. Hossam A.Gabbar, 21-May-2017, Visit Summary. Visiting Professor, and Invited Speaker at Shandong University of Technology, Shandong, China, Talk on Resilient Interconnected Micro Energy Grids, May, 2018, Visit Summary. Invited Speaker at Shandong University, Shandong, China, Talk on (Flywheel Energy Storage for Energy and Transportation Infrastructures, and Public Talk for Shandong Talent Association on (Smart Energy Grid for Smart Cities), May, 2018, Visit Summary. Invited Talk (Smart Energy Grid Engineering for Smart Cities), Yanbu Industrial City (Yanbu) and Kind Abdel Aziz University (Jeddah), KSA, 22-25 Apr, 2018. Tour and Meeting Details are here. Lecture and Meeting at SJTU – Shanghai Jiao Tong University, 24-Mar-2018. Invited Speaker: Flywheel-Based Fast Charging Infrastructures for Transportation Electrification, 2017 the 7th International Conference on Power and Energy Systems (ICPES), 1-3 November, 2017, Toronto, Ontario, Canada. Plenary Talk “Interconnected Micro Energy Grids for Resilient Energy and Transportation Infrastructures” at the 2017 International Conference on Power and Energy Engineering (ICPEE 2017), Ottawa, Canada, 13-15 September, 2017. Invited Talk “Advances in Micro Energy Grids with Energy Conservation Strategies and Applications on Infrastructures and Clean Transportation Systems” at the ICGET - International Conference on Green Energy Technology, 18-20 July, 2017, Rome, Italy. Visit to Environmental Protection Authority (EPA) – Kuwait to present and discuss Risk Management for Environmental Protection Projects, 3-5 May 2017. Invited Keynote Speaker, Towards Clean and Resilient Energy and Transportation Infrastructures, at the 6th International Workshop – Advances in Cleaner Production, 24-26 May, 2017, Sao Paulo, Brazil. Workshop on Safe Isolation of Mechanical Systems, IEEE NPSS Chapter, SMC – IGPS, RAMSP, IEEE Toronto Section, 21-Apr-2017, UOIT, Ontario, Canada. APEL – Student Presentation on “Ion-Thruster for Aerospace Applications”, at Aerospace Event, 22-Mar-2017, Toronto, Canada. Congratulations: Dr. Hossam A.Gabbar received Senior Research Excellence Award, 2016! The public talk: 2-Mar-2017, UOIT Announcement and Event Details is here, Watch the talk video – here. Congratulations: Best Student Innovation Awards: Mohamed Aboughaly and Elnara Nasimi, in SPANS 2016! Public Talk: Towards Resilient Energy and Transportation Infrastructures, at the Research Award Ceremony for Senior Research Excellence Award, UOIT, 2-Mar-2017, Canada. Industrial Presentation: R&D Innovations and Implementations of Flywheel Technology for Energy and Transportation Infrastructures, Industrial Meeting, Dusseldorf, Germany, 10-Jan-2017. Symposium on Plasma And Nuclear Systems – SPANS 2016, IEEE Toronto – NPSS Chapter / CNS, 22-Dec-2016, UA1120, UOIT, Ontario, Canada, Success Story – Photo Gallery. Speaker at Chicago Advanced Energy Stakeholder Series: Energy, Mobility and Transportation, Title: Advanced Flywheel Energy Generation and Storage for Transportation Systems (Buses / Railway), 1-Dec-2016, Chicago, USA, Talk Summary and Gallery – Here. Workshop on Smart Green Building (SGB) within Smart Energy Grids, IEEE SMC-IGPS, Smart Green Building, with Qatar University, Movenpick Hotel, Doha, Qatar, 19-Apr-2016. Invited Lecture: Resilient Interconnected Micro Energy Grids with Gas Power And Renewable Energy Technologies, IEEE SMC, System Sciences and Engineering Webinar Series, 2015, 11-Oct-2015. Plenary Talk: Resilient Smart Energy Grids and Micro Grids With Safety and Security Considerations, IEEE Smart Energy Grid Engineering (SEGE) Conference, UOIT, Canada, 17-19 Aug, 2015. Photo Gallery is here. Investigate Analytical, Computational Intelligence, and Simulation Annealing Methods & Techniques Supported by Experimentation for Energy Process Systems Engineering, including the Design of Advanced Process Safety and Intelligent Control for Smart Energy Grids, Micro Energy Grids with Distributed Energy Resources, Integration of Small Modular Reactor (SMR), Green Energy & Nuclear Facilities, Transportation, & Production Systems. This includes: Safety Instrumented Systems, Fault Diagnosis, Reliability & Maintenance Engineering, Monitoring & Performance Optimization, Process Recovery and Shutdown Systems, and Pollution Prevention & Control. Dr. F. Rabiul Islam, Ph.D.
Dr. Gabbar has more than 210 journal publications that includes the following: Journal of Environmental Modelling & Software (impact factor 3.476), International Journal of Electrical Power & Energy Systems (impact factor: 3.432), Cleaner Production (impact factor 3.398), Journal of Energy and Buildings (impact factor 2.679), IEEE Transactions on Systems, Man, and Cybernetics: PART C (impact factor 2.548), IEEE Transactions on Systems, man, and Cybernetics: Part A (impact factor 2.183), Journal of Computers & Chemical Engineering (impact factor 2.019), Journal of Energy Research (impact factor 1.987), Journal of Mechanical Systems and Signal Processing (impact factor 1.913), Journal of Reliability Engineering and System Safety (impact factor 1.901), Journal of Expert Systems with Applications (impact factor 1.854), Journal of Computers in Industry (impact factor 1.709), Journal of Industrial Management and Data Systems (IMDS) (impact factor 1.674), Journal of Structural Health Monitoring (impact factor 1.614), Journal of Design Studies (impact factor 1.545), Journal of Computers & Industrial Engineering (impact factor 1.516), Journal of Environment and Process Safety (impact factor 1.495), Journal of Robotics and Computer-Integrated Manufacturing (impact factor 1.230), Journal of Soft Computing (impact factor 1.124), Journal of Simulation Modeling Practice and Theory (impact factor 1.159), Loss Prevention in Process Industry (impact factor 1.150), Journal of Nondestructive Evaluation (impact factor 1.091), and other journals with impact factor less than 1 but growing such as International Journal of Performability Engineering, Journal of Nuclear Engineering and Design, and Journal of Renewable and Sustainable Energy. Control Recipe Synthesis Mechanism and Automated Solution. Design of a Practical Enterprise Safety Management System, Kluwer Academic Publishers, 2004, ISBN 1-4020-2948-9. Modern Formal Methods & Applications, Editor: Hossam A.Gabbar, Springer Publisher, 2005, ISBN: 1-4020-4222-1. Chemical Engineering Congress 38, Batch Process Operation Management System, Society of Chemical Engineering Japan, Maki Publishers, Japan (ISBN4-8375-0685-2). Hossam A.Gabbar, Lingzhi Xia, Manir, U Isham, Vladimir Ponomarev, Signal processing system design for improved shutdown system of CANDU reactor in large break of LOCA events, 2015. Hossam A. Gabbar, Daniel Bondarenko, Sayf Elgriw, Anas Abdel Rihem, Evaluation of Potential Designs for High Performance Fusion Energy Technologies, International Journal of Latest Research in Science and Technology (IJLRST), volume 4, Issue 3 , 2015. Hossam A.Gabbar, Jason Runge, Daniel Bondarenko, Lowell Bower, Devarsh Pandya, Farayi Musharavati, and Shaligram Pokharel, Performance Evaluation of Gas-Power Strategies for Building Energy Conservation, Energy Conversion and Management, Volume 93, 15 March 2015, Pages 187-196. 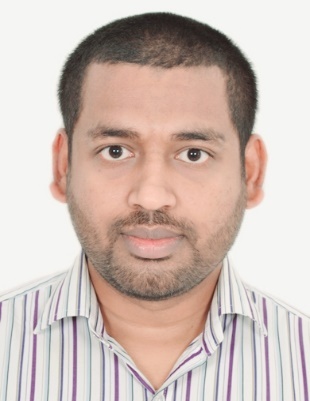 Hossam A.Gabbar, Emmanuel Boafo, FSN-based co-simulation for fault propagation analysis in nuclear power plants, Process Safety Progress, AIChE, (DOI: 10.1002/prs.11725), 8-Dec-2014, Online ISSN: 1547-5913. Hossam A.Gabbar, Negar Honarmand, Abdelazeem A. Abdelsalam, Resilient Microgrids for Continuous Production in Oil & Gas Facilities, Journal of Advances in Robotics and Automation, November 28, 2014, 3:3. Harsh Deol, Hossam A.Gabbar, Fuzzy Logic-Based Safety Design for High Performance Air Compressors, International Journal of Progress in Nuclear Energy, Volume 80, April 2015, Pages 136-150. Hossam A. Gabbar, Daniel Bondarenko, Sayf Elgriw, Functional Modeling for the Analysis of High Density Plasma Experimentation, International Journal of Latest Research in Science and Technology (IJLRST), volume 3, Issue 5 October 2014. Elnara Nasimi, Hossam A.Gabbar, Signal Denoising Methods For Fault Diagnosis and Troubleshooting At CANDU® Stations, Nuclear Engineering and Design, Elsevier, 280 (2014) 481–492. Hossam A.Gabbar, Integrated Framework for Safety Control Design of Nuclear Power Plants, Nuclear Engineering and Design, Volume 240, Issue 10, October 2010, Pages 3550-3558. 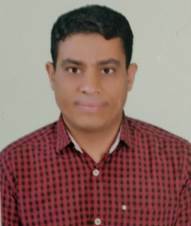 Hossam A. Gabbar, Abdelazeem Abdelsalam, Microgrid Energy Managements in Grid-Connected and Islanded Modes based SVC, Energy Conversion and Management, Volume 86, October 2014, Pages 964-972. Hossam A.Gabbar, Daniel Bondarenko, Sajid Hussain, Farayi Musharavati and Shaligram Pokharel, Building Thermal Energy Modelling with Loss Minimization, Journal of Simulation Modelling Practice and Theory, 49 (2014) 110–121. Abdelazeem A. Abdelsalam, Hossam A. Gabbar, and Adel M. Sharaf, Performance Enhancement of Hybrid AC/DC Microgrid based D-FACTS, International Journal of Electrical Power and Energy Systems, Volume 63, December 2014, Pages 382-393. Hossam A.Gabbar, Hanaa E.Sayed, Ajiboye S.Osunleke, Hara Masanobu, Design of Fault Simulator, Journal of Reliability Engineering and System Safety, Volume 94, Issue 8, August 2009, Pages 1289-1298. Hossam A.Gabbar, Hanaa E.Sayed, Ajiboye S.Osunleke, Hara Masanobu, Analytical Process and System Design of Integrated Fault Diagnostic System, International Journal of Process Systems Engineering, Vol. 1 (2009), No. 1, pp. : 66-81. Hossam A.Gabbar, Engineering Design for Hybrid Green Energy Production and Supply Chains. Journal of Environmental Modelling & Software, Volume 24, Issue 3 (March 2009) pp 423-435. Hanaa E. Sayed, Hossam A. Gabbar, Shigeji Miyazaki, A Hybrid Statistical Genetic-Based Demand Forecasting Expert System, Expert Systems with Applications, Volume 36, Issue 9, November 2009, Pages 11662-11670. Hanaa E.Sayed, Hossam A.Gabbar, Shigeji Miyazaki. Advanced Evolving Kernel of Fishers Discriminant Analysis for Classification Problem. Journal of Applied Sciences, Volume: 9, Issue: 12, Page No. : 2313-2318. Hossam A.Gabbar. Model-Based Topology Analysis for Environmentally Conscious Power Plant Operation. Journal of Cleaner Production, Vol. 16 (2008) pp.:1507-1516. Hossam A.Gabbar, Modeling Approach for Flexible Production Chain Operation, IEEE Transactions on Systems, man, and Cybernetics-Part a: Systems and Humans, Vol. 38, no. 1, January 2008. Hossam A.Gabbar. Intelligent Topology Analyzer for Improved Plant Operation. Journal of Industrial Management and Data Systems (IMDS), Vol. 107, Issue 2, pp. 229-250, 2007. Haiquan Feng, Hossam A.Gabbar, Satoshi Tanaka, Hanaa E.Sayed, Kazuhiko Suzuki, William Gruver (2007). Integrated Life Cycle Assessment and Environmental Impact Analysis: Application on Power Plants. Asia Pacific Journal of Chemical Engineering, Volume 2, Issue 3, Pages 213 - 224. Hossam A.Gabbar. Qualitative Fault Propagation Analysis. Journal of Loss Prevention in the Process Industries, Vol. 20, No. 3 (2007), 260-270. Hossam A.Gabbar, Kazuhiko Suzuki (2007), Modeling & Simulation Framework for Pollution Control of Chemical Processes, International Journal of Environment & Pollution, Vol. 29, Nos. 1/2/3, 2007, pp.165-176. Hossam A.Gabbar. Design of Intelligent Fault Diagnostic System (FDS). Journal of Environment and Process Safety, iChem, Volume: 85, Issue: B6, pp 566-578. Hossam A.Gabbar, Synthesis of Parallel Operation for Enhanced Chemical Plant Operation. IEEE Transactions on Systems, Man, and Cybernetics - PART C: Applications and Reviews, vol. 37, no. 4, July 2007, pp. 703-711. Hossam A.Gabbar, Formal Representation of Meta-Operation of Chemical Plants, IEEE Transactions on Systems, Man, and Cybernetics - Part C, Vol. 37, No. 4, July 2007, pp. 633-643. Hossam A.Gabbar, Atsushi Aoyama, Yuji Naka, Automated solution for control recipe generation of chemical batch plants, Journal of Computers & Chemical Engineering, 2005, Vol. 29/5, pp 949-964. Hossam A.Gabbar, Kazuhiko Suzuki, Yukiyasu Shimada, Design of Plant Safety Model in Plant Enterprise Engineering Environment, Reliability Engineering & System Safety Journal, Vol. 73, No. 1, pp 35-47, 2001. Hossam A.Gabbar, Fault Semantic Networks for Accident Forecasting of LNG Plants, 14th International Conference, KES 2010, Cardiff, UK, September 8-10, 2010, Springer Proceedings, Part II, pp.427, ISBN-13 978-3-642-15389-1. Elnara Nasimi, Hossam A.Gabbar, Analysis of Operational Challenges of Existing Start-up Instrumentation (SUI) of CANDU Reactors at Bruce Power Stations, International Workshop on Real Time Measurement, Instrumentation, and Control (RTMIC) IEEE, Oshawa, ON, Canada, 25-Jun-2010. Haris Chowdhry, Hossam Gabbar, Distributed Control Algorithm for Optimum Hybrid Nuclear and Hydrogen Production Plants, International Workshop on Real Time Measurement, Instrumentation, and Control (RTMIC) IEEE, Oshawa, ON, Canada, 25-Jun-2010. Hossam A.Gabbar, Ray Bedard, Hazard Analysis and Accident Prediction for LNG Plants, International Workshop on Real Time Measurement, Instrumentation, and Control (RTMIC) IEEE, Oshawa, ON, Canada, 25-Jun-2010. Hossam A.Gabbar, Peter Sauer, Knowledgebase and Acquisition System for Failure and Accident Analysis of Gas Processing Facilities, International Workshop on Real Time Measurement, Instrumentation, and Control (RTMIC) IEEE, Oshawa, ON, Canada, 25-Jun-2010. Hossam A.Gabbar, Fault Semantic Networks for Accident Forecasting of LNG Plants, 14th International Conference of Knowledge-Based and Intelligent Information and Engineering Systems, KES2010, Sep-2010, Wales, UK. Hossam A.Gabbar, Safety Control Design Framework, Symposium on New Trends In Safety Engineering, 3rd International Conference on Integrity, Reliability & Failure, Porto, Portugal, 20-24 July 2009. E.Nasimi, H.A. Gabbar, Development of Design Support Tool Using Integrated Hierarchical Control Chart (HCC) & IEC61131 for Nuclear Power Plant, CNS Annual Conference, Calgary, 30-May, 2009. H.A.Gabbar, Activity Modeling for Qualitative and Quantitative Fault Simulation of Nuclear Power Plants, 23rd Nuclear Simulation Symposium, Ottawa-Canada, 2-4 November, 2008. H.A.Gabbar, V.Makis, M.Kamel, Integrated Qualitative & Quantitative Fault Diagnosis, 3rd International Workshop on Computational Intelligence & Applications, IEEE SMC, Okayama, 18-Dec-2007, P1:1-5. H.A.Gabbar, H.E.Sayed, Enterprise Energy Management Using Hybrid Energy Supply Unit (HENSU), IEEE SMC International Conference, Oct-2007, Montreal, Canada. H.A.Gabbar, Trend Analysis Technique Using Real Time Fault Simulation for Real Time Fault Diagnosis, IEEE SMC International Conference, 11-Oct-2007, Montreal, Canada. T.Hamaguchi, M.Inoue, T.Yoshida, K.Kawano, H.A.Gabbar, K.Takeda, Y.Shimada, T.Kitazima, and Y.Hashimoto, Integration of Multi-agent Controller and Scheduler for Multi-purpose and Multi-batch Plant. KES2007 11th International Conference on Knowledge-Based and Intelligent Information & Engineering Systems, Italy, 12-Sep-2007.